There’s nothing like a day at the spa where you can really pamper yourself with skin care treatments. 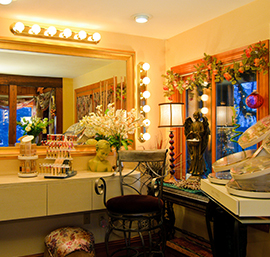 Whether it’s a half-hour facial, a seaweed facial, or an additional foot massage while your face mask is being applied, there are endless options to help you feel rejuvenated with customized facial treatments at Inner Beauty Concepts in Nashua. As enjoyable as these different treatments are, we understand it’s not always feasible to make it to the spa for a session of relaxing skin care treatments. But that doesn’t mean you can’t keep your skin looking fresh and flawless at home in the meantime! Check out these three homemade facial treatments that you can make and use yourself. 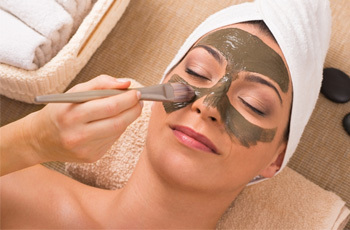 This homemade clay mask will help cleanse and moisturize your skin. To make it, you’ll need to raid your fridge and your pantry for a couple of ingredients, and take a trip to your local health food store for the other ingredients. You’ll need one egg white, one tablespoon of corn flour, 2 tablespoons of bentonite clay, and a drop of your favorite essential oil. This mask is really easy. Just blend all of the ingredients together in a plastic, ceramic, or wooden bowl. Do not use a metal bowl because it will react with the bentonite clay. Once your ingredients are well-blended, apply to your face and let dry for as long as you like. We recommend about 15–20 minutes. Don’t peel it afterward; instead, wash it off with a warm washcloth. This facial scrub is extra scrumptious, but don’t eat it! 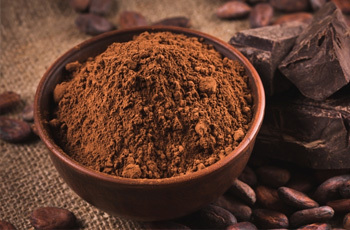 You’ll be diving into your baking goods again to make this chocolate sugar facial scrub. You’ll need a quarter cup of brown sugar, an eighth cup of olive oil, 1 tablespoon of cocoa powder, and a quarter teaspoon of vanilla extract. Mix all of the ingredients together in a small bowl and lather on your face. Rub the mixture gently into your skin for 60 seconds and let sit on your face for up to 10 minutes. Rinse off afterward with warm water. This exfoliant is great because the brown sugar gently sloughs off dead skin, the olive oil hydrates your skin, and the caffeine in the cocoa powder works to tighten and tone. If you’re trying to remove blackheads (and facial hair), then this clarifying peel-off charcoal mask is perfect for you. 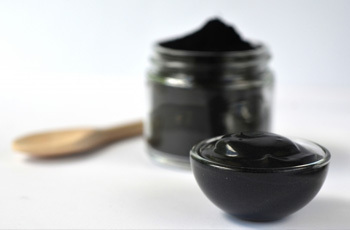 You’ll need one teaspoon of activated charcoal, a half teaspoon of bentonite clay, one tablespoon of unflavored gelatin, and two tablespoons of water. Mix water and gelatin in a microwave-safe bowl. Then mix in the activated charcoal and bentonite clay. Remember not to let the clay touch any metal utensils. Stir until smooth and microwave for 10 seconds at a time until the mixture has thickened. About 30 seconds will do. Let the mixture cool so you don’t burn your skin. Apply to your face and let dry completely. The thicker you apply the mixture, the longer it will take to dry. Make sure you have enough time for this because it can take a while. When the mask has dried, roll a corner of it off of your skin and gently peel from your face. Rinse your face with warm water afterward, then apply a layer of coconut oil to moisturize and protect your fresh layer of skin. 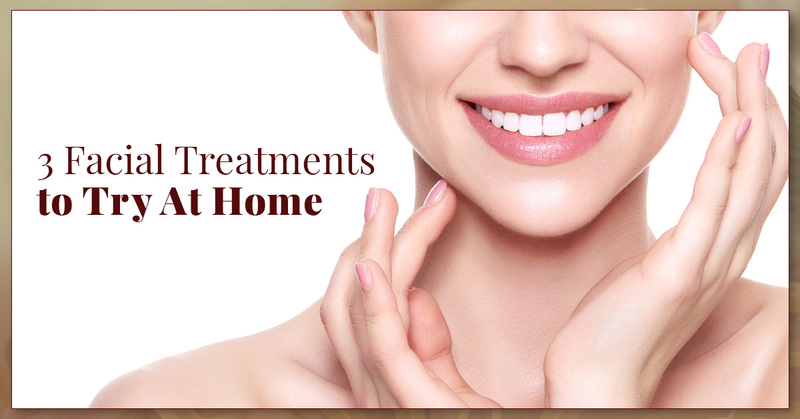 We hope you try and enjoy all of these at-home skin care treatments for your face. 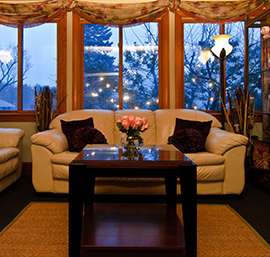 When you’re ready for your next spa day, contact Inner Beauty Concepts in Nashua to schedule a customized facial treatment. Our masks are tailored to your skin type — whether it’s oily, dry, or somewhere in between.